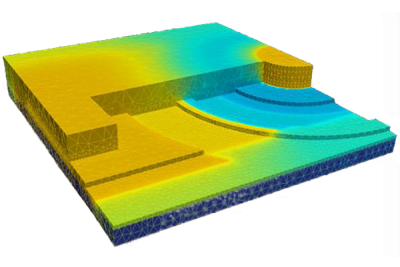 Lumerical’s component design products FDTD Solutions, MODE Solutions, and DEVICE use multiphysics-style simulation capabilities and workflows to model optical, electrical and thermal effects at the physical level. Lumerical’s system simulation product INTERCONNECT simulates and optimizes the performance of photonic integrated circuits. INTERCONNECT has been designed to work in conjunction with popular electronic design automation (EDA) tools. There are also a number of foundry compact model libraries (CMLs) calibrated against the manufacturing process offered by several semiconductor foundries available for INTERCONNECT. Be sure you’re taking advantage of the right solutions to deliver the most comprehensive design and analysis workflow for your application. The product selection guide indicates which Lumerical products are relevant to your application and our online Knowledge Base provides examples to get you started today.